KAISERIN is an independent bi-annual magazine based in Paris. Our editorial line aims to re-establish the art magazine as something militant and committed. 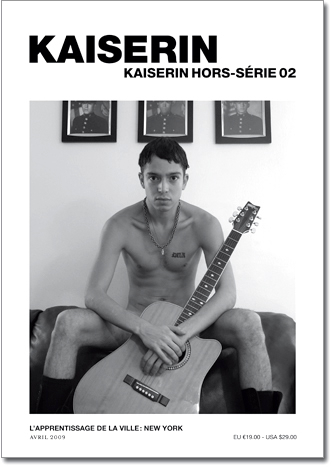 In each issue, KAISERIN presents the work of renowned and emerging young artists, authors, photographers, graphic designers, typographers, illustrators and poets, all focussed on one theme. KAISERIN has a worldwide circulation of 5,000. Our readership is creative, multicultural, curious and open-minded, has an interest in emerging arts, and is generally aged from 25 to 45 years old. It comprises those readers who are weary of conformism and superficiality, and who seek new ideas and new sensations.